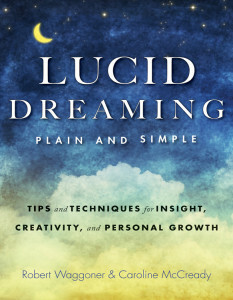 Lucid Dreaming, Plain and Simple is co-authored by Caroline McCready and Robert Waggoner. The book approaches lucid dreaming from a cognitive psychology stance, focussing on how to lucid dream and how to use lucid dream techniques for personal and creative insight. Whether a reader is completely new to lucid dreaming or someone who has experienced that incredible moment of realizing, “This is a dream!”, readers will learn valuable tips and techniques gleaned from scientific research and decades of experience to explore this unique state of awareness more deeply. Available on Amazon, at Waterstones and other book retailers. “This book is a gem. work on before this level. In fact the psychology throughout this book is superb: even if it’s only to help you further enjoy the fun and excitement that lucid dreaming offers! “Fantastic Book, Loved EVERY Page!!Oh! I sooooooo loved this book.Fab introduction to lucid dreaming, and more. Not only was there info about good techniques about how to get into a lucid dream, but also lots of info on where-to-go-with-it-after-you’ve-learnt-how. Not only is lucid dreaming good for learning how to fly etc, but more meaningful things can be achieved. One of which, most lucid dreamer ‘experts’ say, is to learn how to live lucidly. That’s the key message with this book. Lucid dreaming isn’t just about doing stuff while you’re asleep, it’s about making your waking life more meaningful and peaceful. 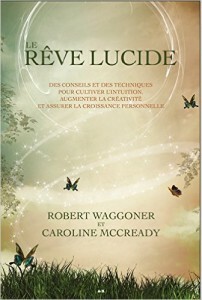 “For the perfect beginners guide to lucid dreaming choose this fantastic lucid dreaming book from Robert Waggoner and Caroline McCready. 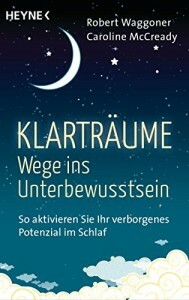 After teaching the reader exactly how to lucid dream the book then fully explores the whole lucid dreaming world. From how to control your movements to how to walk through walls and fly through the air.